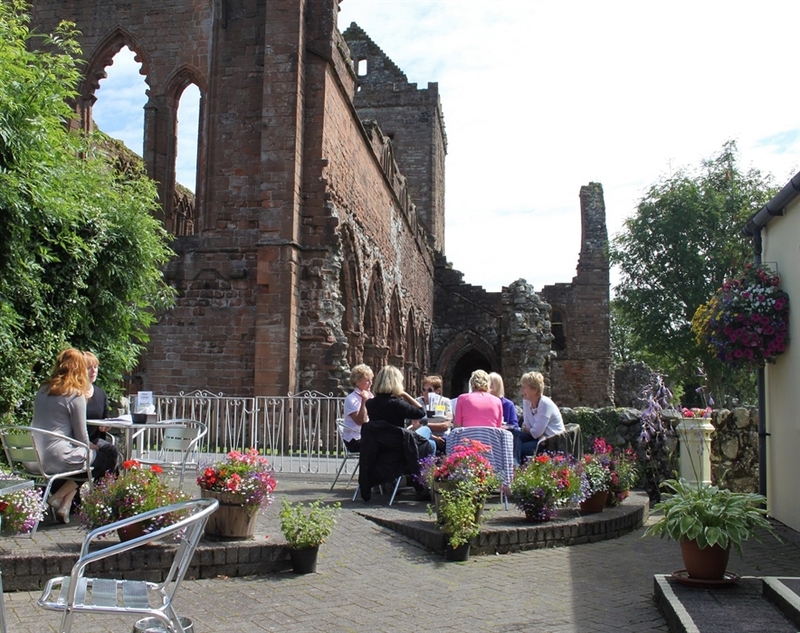 Our family run tearoom is situated next to the beautiful ruins of Sweetheart Abbey. Abbey Cottage has been part of our family for 4 generations and for 35 years we’ve been making soups, baking scones and serving speciality coffees and teas in our tearoom and garden. Why not join us for Afternoon Tea? We’d love you to come and enjoy the beautiful historic village of New Abbey. 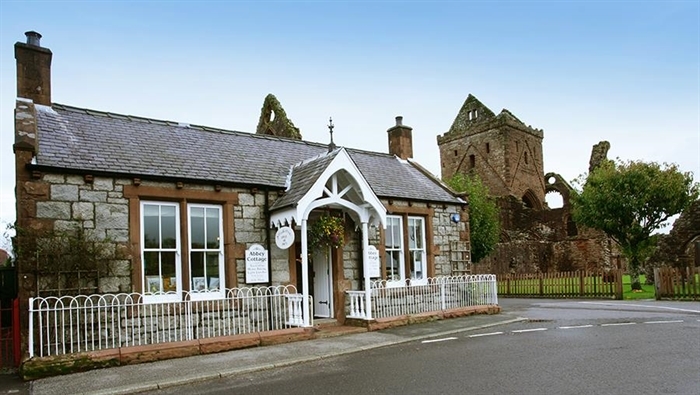 It’s just 7 miles from Dumfries in South West Scotland, and there’s so much to explore. Our family run tearoom is situated next to the beautiful ruins of Sweetheart Abbey. Abbey Cottage has been part of our family for 4 generations and for 35 years we’ve been making soups, baking scones and serving speciality coffees and teas in our tearoom and garden. We’d love you to come and enjoy the beautiful historic village of New Abbey. 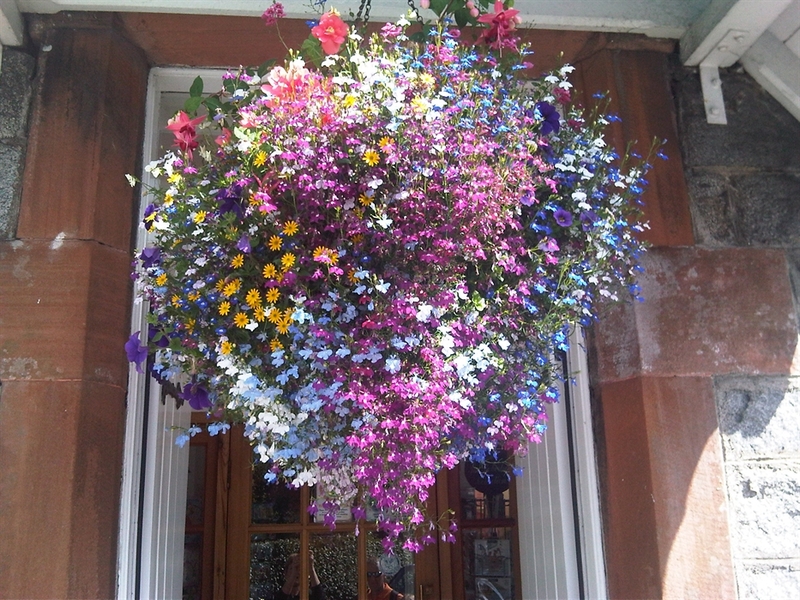 It’s just 7 miles from Dumfries in South West Scotland, and there’s so much to explore. There’s plenty of walking at low level, to the Waterloo Monument for great views, and Criffel (with ‘views over four lands’) is there waiting for the more energetic! A wander around the village will bring you to the old working water-powered corn mill, and the mill pond. Of course, dominating all of this are the ruins of Sweetheart Abbey, founded by Lady Dervorguilla of Galloway in memory of her husband John Balliol. It’s a fascinating love story, and you can find out more about it in this blog by Solway Tours. 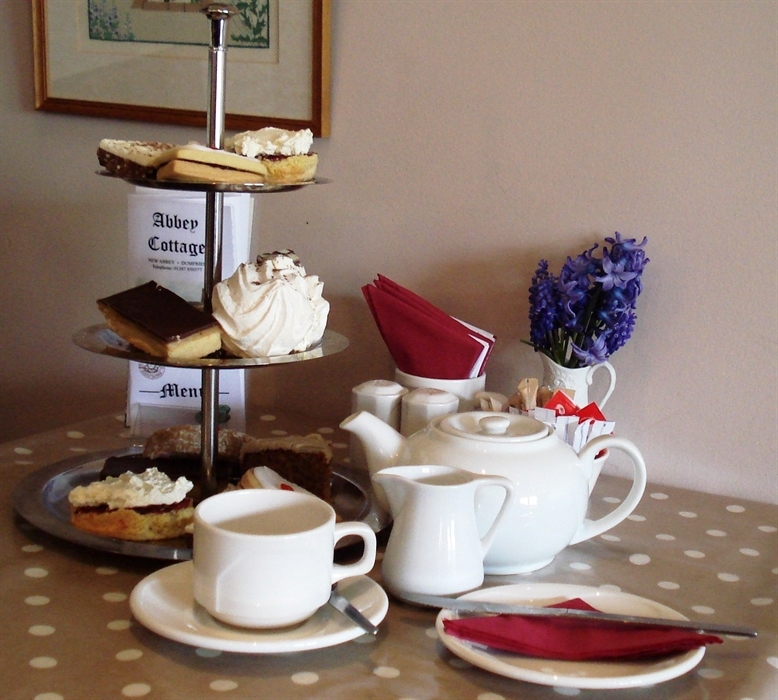 After all that exploring, if you’re hungry and thirsty come and relax and enjoy the view from our garden or tearoom! 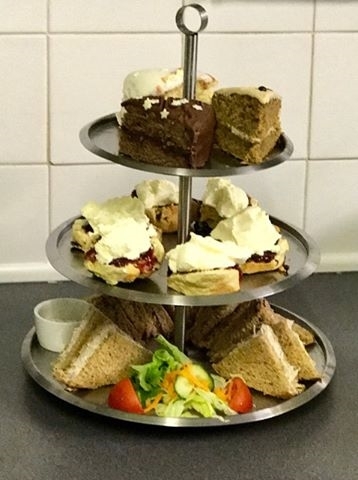 Our Afternoon Tea is very popular! Do get in touch with us if you have any questions, and there’s more info on our website.